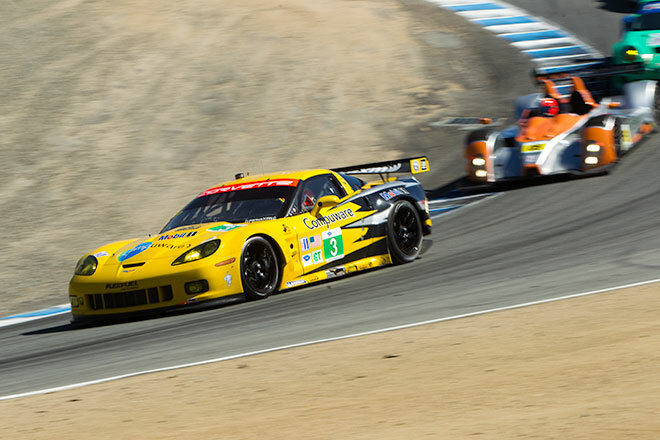 MONTEREY, Calif. -- If you want to see innovation in motorsports, all the cool stuff is happening in endurance racing. The American Le Mans Series is a showcase of alt fuels and advanced drivetrains, an automotive laboratory where the rules encourage experimentation that points toward the future of motorsports. It’s the only place to see a diesel Audi challenging a Lola-Mazda powered by isobutanol while Corvettes, BMWs and others burning blended ethanol chase the championship. There’s even a hybrid Porsche out there challenging your perception of gas-electric technology. By embracing such diversity, American Le Mans says it has reduced its petroleum consumption and greenhouse gas emissions more than 40 percent since 2005. More importantly, it has shown the viability of these alternatives under the most demanding circumstances in races lasting six, 10 or even 12 hours. The American Le Mans Series wraps up this weekend with Petit Le Mans at Road Atlanta. We got a look behind the scenes of endurance racing with Corvette Racing during the season’s penultimate race, the six-hour ModSpace American Le Mans Monterey at Mazda Raceway Laguna Seca.